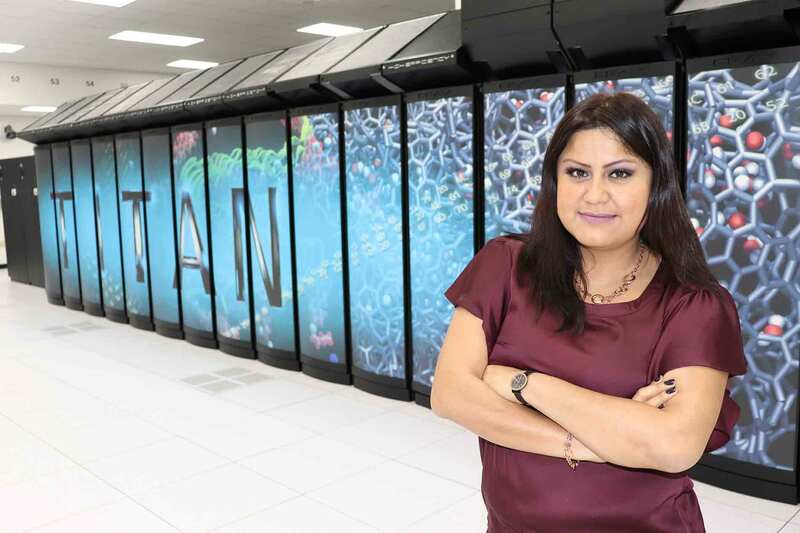 An interest in high-performance computing led Julita Inca Chiroque to Oak Ridge National Laboratory, where she participated in the Advanced Short-Term Research Opportunity Program. For Julita Inca Chiroque, the chance to intern at Oak Ridge National Laboratory (ORNL) was a dream come true. Inca’s path to Oak Ridge began in her native Peru, where, after earning a master’s degree in computer science, she participated in outreach programs through the GNOME Project and Fedora, organizations that provide free software. 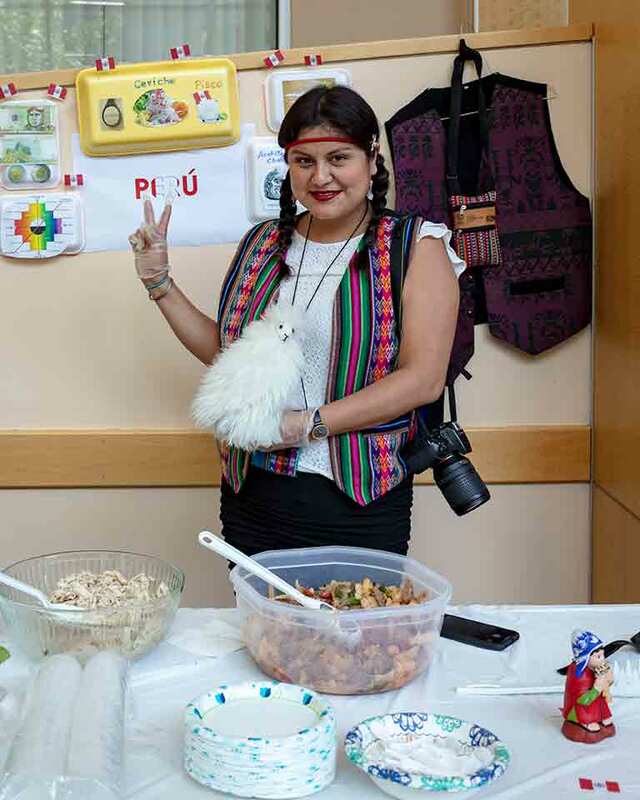 Later, she won a scholarship that trained her in the administration of the Linux open-source software operating systems and went on to work for IBM of Peru as a Linux information technology specialist. Inca with Summit, the world's fastest supercomputer. It was during this time that Inca became intrigued by supercomputers and their ability to analyze large amounts of data. She started working with a small-scale supercomputer made up of Raspberry Pi single-board computers and soon got involved with a college group dedicated to high-performance computing (HPC). Inca’s interest in HPC led her to ORNL, where she recently participated in the Advanced Short-Term Research Opportunity (ASTRO) Program. Under the mentorship of Dr. Arjun Shankar, leader of the Advanced Data and Workflows Group and director of the Compute and Data Environment for Science (CADES) at ORNL, Inca helped improve a user guide related to CADES Scalable HPC Condos by conducting a user survey, compiling information and writing more intuitive content. Inca also contributed to a prototype to federate and link disparate systems. Implemented on the CADES cloud, the project connected different computing systems with one authentication process. During her time at the lab, Inca made valuable connections with ORNL staff and industry leaders that will serve her well as she advances in her career. She also gained confidence as a researcher in HPC and improved her communication skills. Her favorite part of her internship was the opportunity to attend various professional development activities organized by the Oak Ridge Leadership Computing Facility and the Oak Ridge Institute for Science and Education (ORISE). When she wasn’t conducting research, Inca stayed busy, hosting a seminar that introduced fellow interns to the core concepts of HPC, volunteering for ORNL’s Lab Day celebration and taking part in the lab’s International Day festivities. Inca chronicled her experiences on her blog. After her ASTRO appointment, Inca began a master’s program in HPC at the University of Edinburgh in Scotland. She plans to encourage other students to explore similar research opportunities in Oak Ridge. “It was an honor to be a part of ORNL,” she said.